The beverage industry is full of a wide variety of wines. Even when you think you can’t find anything new there are always some brands that stand out. The Pacific Northwest based Blossom Brothers presents a truly interesting product. Today we are interested in the story behind tasteful packaging and interesting conception. I have the pleasure of talking to company’s partner and president Shawn Bavaresco. 1. How did Blossom Brothers begin? Three of us – the “brothers” in Blossom brothers – were hanging out one day, and we craved a beverage that was refreshing and different. Not in the mood for beer, cider or a traditional wine, we began playing around with the idea of a botanical-infused wine spritzer. We are huge wine lovers (you might even use the term, wine geeks). We wanted our spritzer to taste as good as the varietal wines we love, but with a fresh perspective. We learned through trial and error that the botanicals work best when playing off the inherent characteristics of wine – in this case: citrus, stone-fruit, floral and spice notes. The art of blending botanicals with wine has been happening for millennia. Nine thousand years ago, the Chinese were making a wine from rice, honey and fruit. Wine and botanicals were cherished and lauded for their healthful benefits. So, there’s a fun and inspiring history to our product. Through our explorations, we crafted a beverage that can be enjoyed by a broad canvas of wine lovers – from novices to geeks. 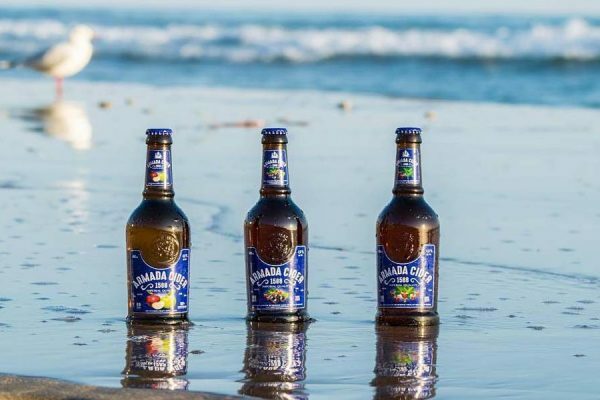 We felt the beverage industry was lacking a good alternative to the standard choices of beer, cider and varietal wine – so we decided to share our discovery with the whole world. 2. It might be risky to present innovative products to the market. What indicators show you that people are searching for a new kind of wine products? 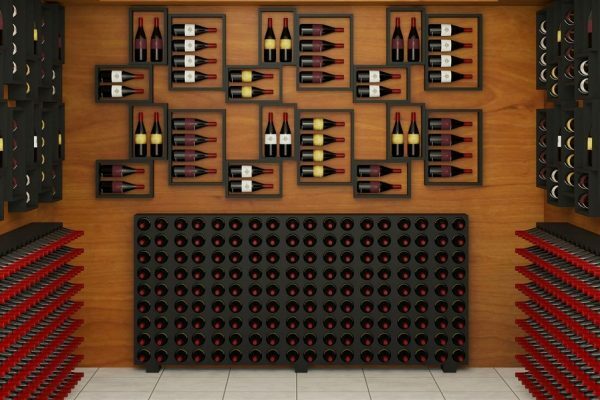 Curiosity in the wine category is higher than ever and people – especially younger people – are actively searching for new, craft product concepts. Because the wine industry is so traditional, it’s ripe for product innovation (especially in the premium segment of the industry). Consumers want high-quality, artisan adult beverage options – they crave alternatives to varietal wine, craft beer and craft cider. Today’s consumers have elevated palates and they want products that deliver an elevated taste experience. The market data reflects these shifts in consumer tastes. Additionally, we involved consumers in the development of our product by hosting local focus groups across age groups – so real people helped us affirm and refine our product. It was a valuable process for us because we found that people in their fifties loved Blossom Brothers as much as twenty-somethings. Frankly, it all comes down to what’s inside the bottle… If you make a thoughtful product, people will enjoy and appreciate it. 3. At the moment, we can try three different flavors of Blossom Brothers. Is there any other flavor that you would like to add? 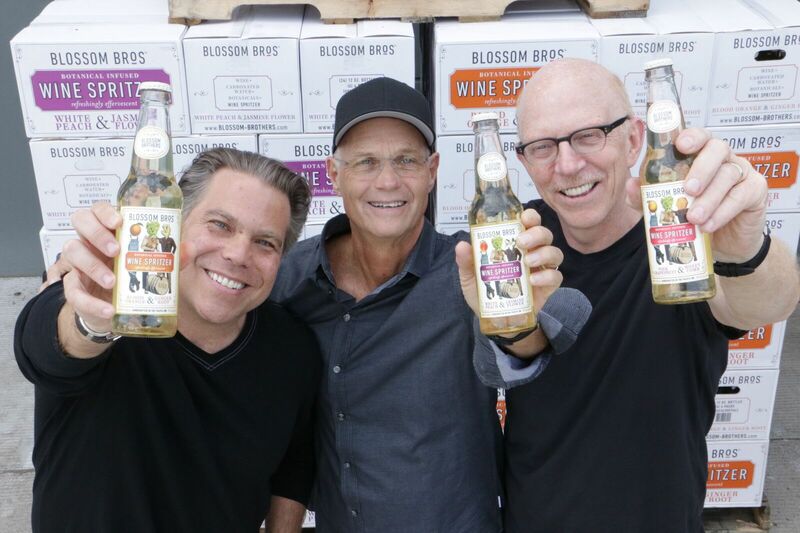 Like varietal wines, the fun of Blossom Brothers is exploring new taste experiences. Currently, we’re focused on launching our first three flavors: White Peach & Jasmine Flower, Blood Orange & Ginger Root and Pink Grapefruit & Honeycomb. Because we’re entrepreneurs, we’re always looking forward and we’re always tinkering. Our plan is to release two seasonal flavor combinations each year to complement our three core products. Finding the right flavor combination is a painstaking process. We’re planning on releasing our first seasonal product in spring of next year. Our first priority is to get people excited about the three flavor combinations currently available in the market. 4. Blossom Brothers is made with only four simple ingredients. What was the biggest difficulty creating and releasing such a product to the market? That’s a BIG question. As with any new venture, you can’t predict all of the challenges you’ll face. From product creation to legal structure to brand development to channel strategies, there are innumerable details that must align when launching a beverage company. In our case, we knew that we wanted to produce a premium wine spritzer made with REAL, natural ingredients. As is often the case in life, it’s not easy to keep something simple. When you commit to a beverage with a limited number of simple ingredients, every ingredient must be premium – there’s no hiding or masking imperfections. We searched for the right wine and botanical essences and dedicated hundreds of hours to finding the right combination and ratio of essences to create our three launch products. Believe me, we tasted through some pretty disgusting flavor combinations to get to where we are today. 5. What advantages does Blossom Brothers have compared to other wine based drinks? My two “brothers” and I are wine geeks. We’ve all worked in the wine industry for many years and we are all lovers of really good wines from regions throughout the world. I guess you could say that “we know our stuff” when it comes to wine. Many businesses start with a desired cost-of-goods target and then they build their business model. We started with sourcing ingredients that met our high expectations and built our business model around those costs. The wine industry is so steeped in traditional thinking that there’s very little innovation in the category. And unfortunately, the innovation that does happen often occurs at the lower-quality level. We craved something new and different that honored the artisan roots of the industry. So with a wine geek’s commitment to quality, the artisan nature of what’s inside the bottle is absolutely the centerpiece of Blossom Brothers. 6. It is crucial to know your competitors. Who do you think is the main competitor for the Blossom Brothers brand? 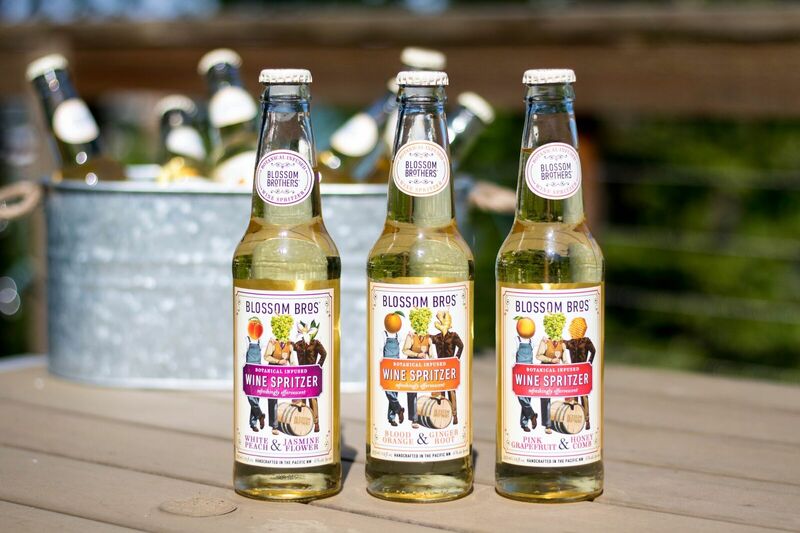 Because we’re staking out a new category of artisan, handcrafted wine spritzers, there is nothing like Blossom Brothers on the market today. The purity of our ingredients – with no added sugar or sweeteners – sets it apart. 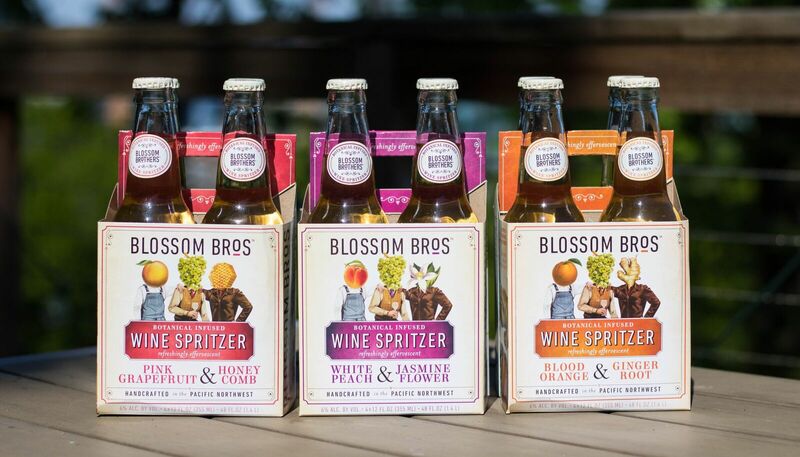 People may find Blossom Brothers to be a refreshing alternative to craft beer, craft ciders, varietal wines or flavored malt beverages. We drink all of that stuff. I don’t think it’s about replacing a product that’s already on the market with our brand. On the contrary, I think it’s more about crafting a really good, new type of product for a universe of inherently curious consumers looking for a yummy alternative to the traditional beverages in the market. 7. Where are you planning to release Blossom Brothers at first? We’re focusing on the Pacific Northwest – particularly, Oregon and Washington. We feel it’s important to build awareness, excitement and credibility in our “own backyard”. People in the Pacific Northwest demand the highest quality from the brands and products born in the region. So, launching in our home region is an excellent way to make sure we’re fulfilling the high expectations of our friends and neighbors here in the Pacific Northwest. Our team is currently presenting the brand to retailers, restaurants and pubs. We should have pretty solid distribution throughout the region by mid-July. 8. 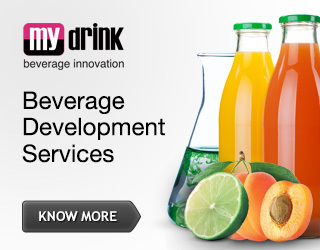 What advice would you give to beverage startups? Develop brands and products that are true to your passions. If you love the product you make, it has a much greater chance of becoming a success. And if you’re passionate about the product, you’ll inherently want to make a thoughtful, premium product. No one starts with a passion and says, “You know what… I want to make a mediocre product.” Your passion will keep you honest and inspired. And, your passion becomes contagious. If you can align your passions with an innovation, that’s even more powerful. As stated throughout this interview, our origins are in the wine industry. Obviously, we’re passionate about wine. But, the wine industry is an insanely competitive industry. From distributors to retailers to restaurants, key decision-makers are bombarded with options. That’s why we decided to align our passion with an innovative idea. That’s how Blossom Brothers was born. For more information visit Blossom Brothers website.